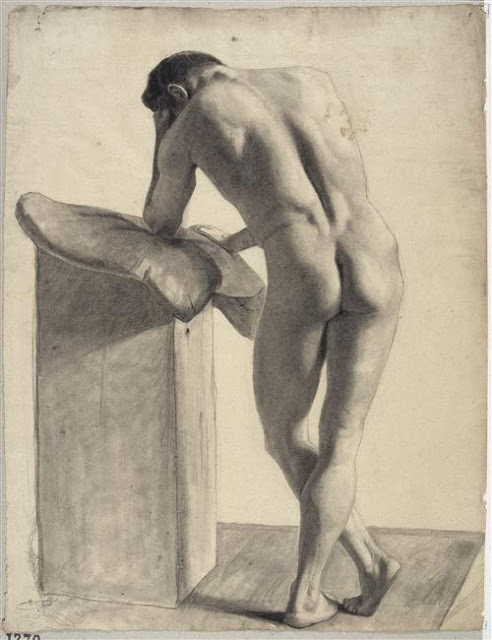 depicted male derriere by Ernest Hebert. Lovely pose. I can tell the model is thinking about the position of the cushion. Elbow resting, right hand stabilising.